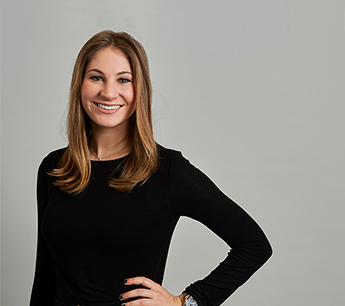 Carly Geller joined RKF in 2015 as a Canvasser in the firm’s New York office. She was quickly promoted to Associate and, as part of the New York leasing team, now focuses on both owner and tenant representation by actively seeking out new business opportunities, reaching out to emerging and established retailers, and gathering market information. Carly’s owner representation work includes serving on the leasing team for Rudin Management, Extell Development, Manocherian, The LeFrak Organization Winter Organization and the Vanbarton Group, amongst others. She also helps advise LeFrak on launching a new retail plan for its portfolio of retail properties in Manhattan and subsequently provides retail leasing and consulting services for LeFrak’s entire Manhattan portfolio. On the tenant side, Carly represents established and emerging brands such as Rise Nation, LoveShackFancy, Monica + Andy and Brideside, to name a few. Recent notable transactions of which Carly has completed are Steve Madden at 3 Times Square, Lazzoni at 145 Madison Avenue, La Ligne at 996 Madison Avenue and homenature at 1033 Lexington Avenue. Prior to joining RKF, Carly was an Intern at The Moinian Group during summer 2014, where she worked in the leasing department. Carly is a graduate of the University of Wisconsin – Madison where she earned a Bachelor of Arts in Communication Arts. She is a licensed real estate Salesperson in the state of New York and a member of International Council of Shopping Centers.